Homemade baking or making something from a scratch is something we are proud to share with our family and friends. We know that life is too busy for some, yet they could no longer have time to bake or prepare meal that is not instant ready. We can't blame them, they would like to prepare something for their family nor friends in one easy and quick way. As for me, I started my baking the night before Thanksgiving, I am pretty sure that my kitchen will be busy in the morning for some late cooking. Instead I finished up all my dish that night and yes I was relaxing in the morning waiting for my family to arrived. 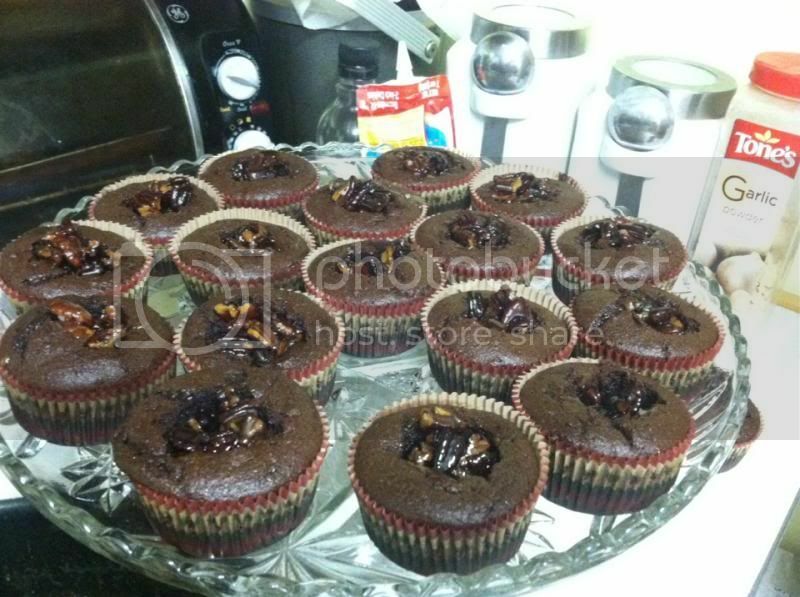 Anyways, I baked chocolate cupcakes with caramelized pecan fillings, they are good and I find the stuffing easy as I thought they are not. It turns out great, however I forget to picture the finished product as I was too exhausted to think about it. They look really tasty and I'm sure everybody would love your cupcakes. O,M.G.!!! They look so good!!! I wan them! That looks yummy, my son would love those. Looks yummy! I suddenly miss baking now!